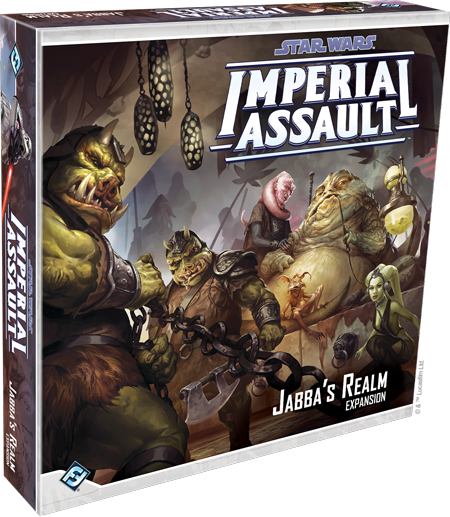 Fantasy Flight Games is proud to announce Jabba’s Realm, a new expansion for Imperial Assault! What’s more, four new Ally Packs and Villain Packs arrive corresponding with the Jabba’s Realm expansion, highlighting the expansion’s most famous characters and offering new cards and missions for your campaigns and skirmishes. Whether you learn the ways of the Force with Luke Skywalker, launch an unexpected ambush with the Alliance Rangers, lead Imperial forces with Captain Terro, or build a criminal empire with Jabba the Hutt, you’ll find the figures you need within these expansions. For more information on these figure packs, visit the announcement here! 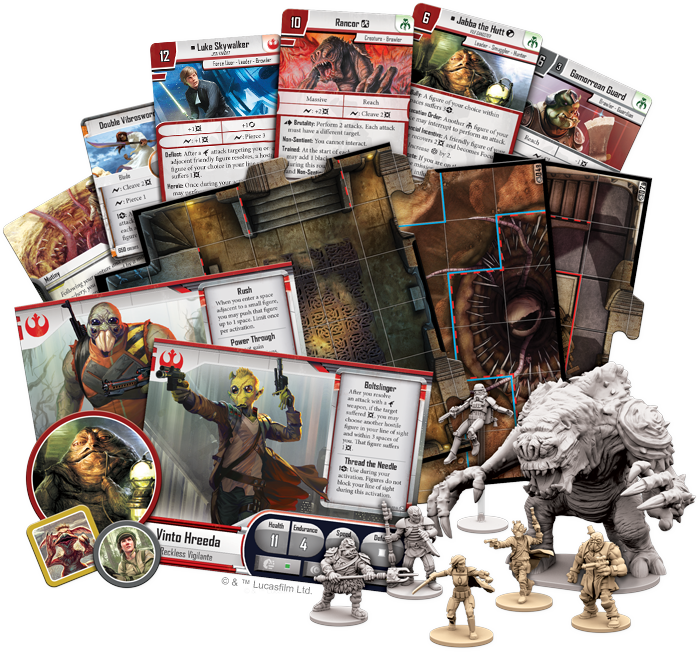 Your games of Imperial Assault gain an entirely new, full-length campaign with the addition of Jabba’s Realm, challenging a brave team of Rebel heroes to survive after they’re shot down on Tatooine. These heroes will soon learn that Jabba the Hutt may be willing to protect you from Imperial forces, but his protection comes at a price. You and your fellow heroes will need to decide just how far you’re willing to go in the service of an underhanded crime lord. Three new heroes join the Rebellion in this expansion, each ready to fight the Empire in their own unique way. Shyla Varad is a Mandalorian warrior, renowned for her skill with blade and whip, and eager to practice her warrior traditions against the Empire. Vinto Hreeda, on the other hand, is a reckless vigilante and gunslinger—an expert sharpshooter who has plenty of grudges to bear against the Empire. 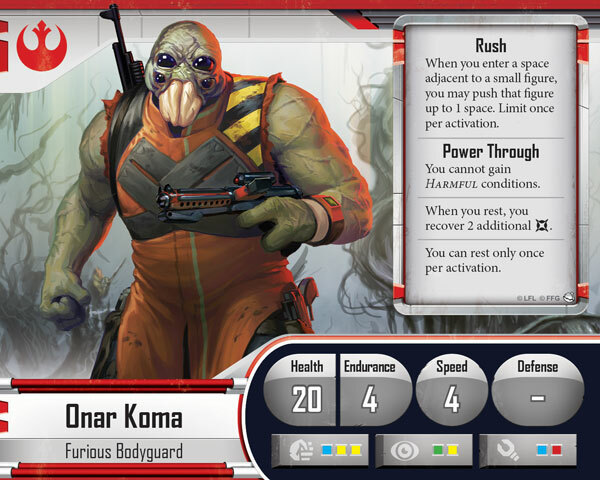 Finally, the Rebels gain the allegiance of Onar Koma, a hulking Aqualish bodyguard with an almost unmatched strength in battle. The Imperial player will need to work his hardest to take out three heroes as well-equipped as these. Of course, each of these heroes comes with a completely unique deck of Class cards, and we’ll look at these heroes in much more detail in a future preview. The Imperial player gains plenty of new campaign tricks as well. New sets of Agenda cards and two brand-new Imperial classes—one focused on villains and one featuring the Mercenaries faction—give you countless ways to customize your forces, ensuring that every campaign is different, no matter how many times you play. 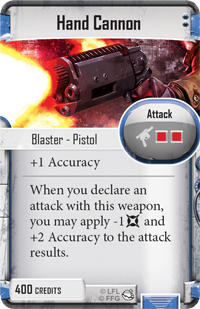 With an assortment of new Supply cards, new Reward cards, new Companion cards like the Pit Droid, and new Item cards such as the Hand Cannon, you can bring your games of Imperial Assault fully into the treacherous dealings and back-alley gunfights of the Tatooine underworld. 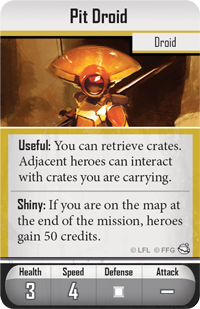 You’d expect the Mercenaries of the galaxy to hold a strong foothold on a planet like Tatooine, and you wouldn’t be wrong—there are twelve new Deployment cards belonging to the Mercenaries faction in the Jabba’s Realm expansion. You may launch raids with Weequay Pirates, defend your holdings with Gamorrean Guards, or unleash the ferocity of a Rancor as you scheme behind the scenes with Jabba the Hutt. What’s more, although the three new heroes from Jabba’s Realm are Rebel-aligned during a campaign, their skirmish versions belong solely to the Mercenaries faction! Naturally, there’s an Imperial detachment on Tatooine as well, and most recently, they’ve chosen to equip their Stormtroopers with jet packs. A new figure group— Jet Troopers —joins the Imperial faction in Jabba’s Realm. 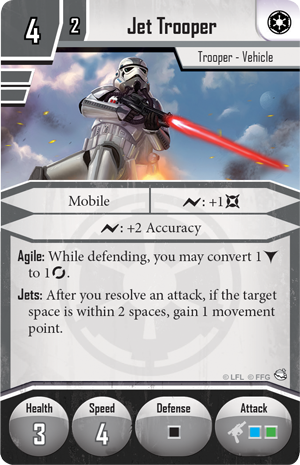 These fast and mobile warriors are experts at darting in for an attack and blasting away out of range, so Imperial commanders on Tatooine are sure to take advantage of these unique Troopers. The new Command cards introduced in Jabba’s Realm also provide an exceptional starting point for customizing your skirmish strike team and gaining the upper hand in a tense battle of wits against another player. 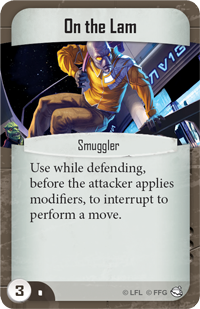 For instance, with On the Lam, you can interrupt your opponent’s attack to perform a move with your figure, potentially running out of range or ducking behind some protective cover! Either way, it’ll be much more difficult for your opponent to land a successful shot while you have On the Lam at your disposal. With four brand-new skirmish missions on two distinct maps, including two missions that support up to four players, your skirmish games enter an entirely new range with a host of new figures, missions, maps, and Command cards. We’ll take a closer look at all of the new Mercenaries and Imperial units introduced in Jabba’s Realm in a future preview! With your ship shot down on Tatooine and your lives in danger at every turn, you have a choice to make. Will you work with Jabba the Hutt in exchange for his protection? Can you serve the Rebel Alliance and a crime lord at the same time? 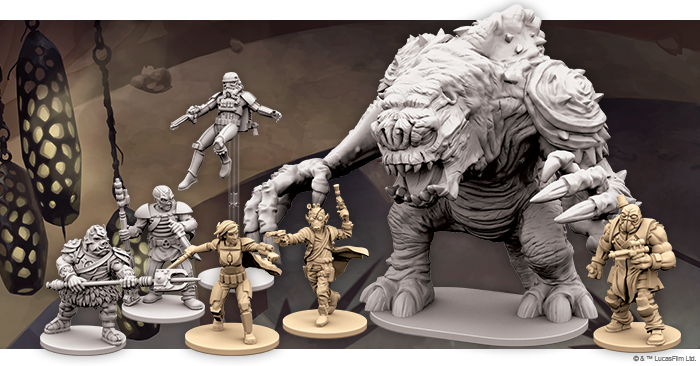 Whether you’re playing a campaign or a skirmish game, the Jabba’s Realm expansion will change your games forever. Look for Jabba’s Realm at your local retailer in the fourth quarter of 2016!